Got this from a 500tg crate, but rng got me good on traits. Should i upgrade it? 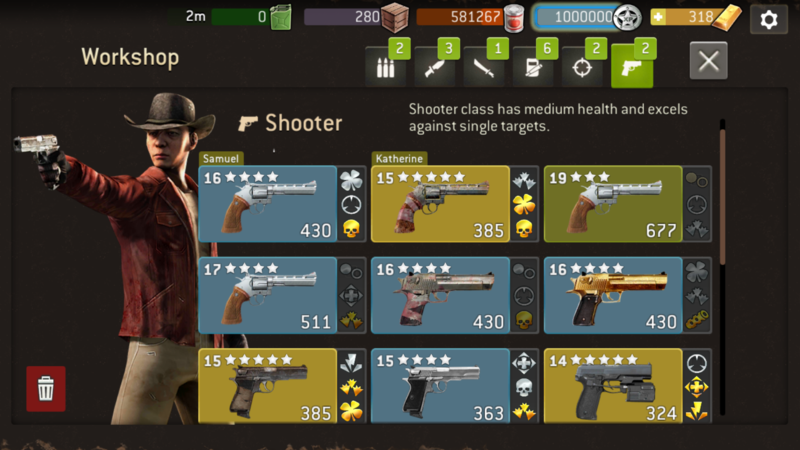 @TheMurphy The "Silenced" trait works for me but only occasionally on my Hunter (30% Silenced + 15% Luck) and Shooter (30% Silenced + 25% Luck). I can confirm this because I have seen the word "SIlenced" appear instead of "Attracted Walkers" and no additional walker was added to the next spawn wave. The problem with those 2 traits (silencer & the charge ability), is that when you use the charge ability, it doesn't attracts walkers anyway. So in a way it makes that one a bit more redundant. 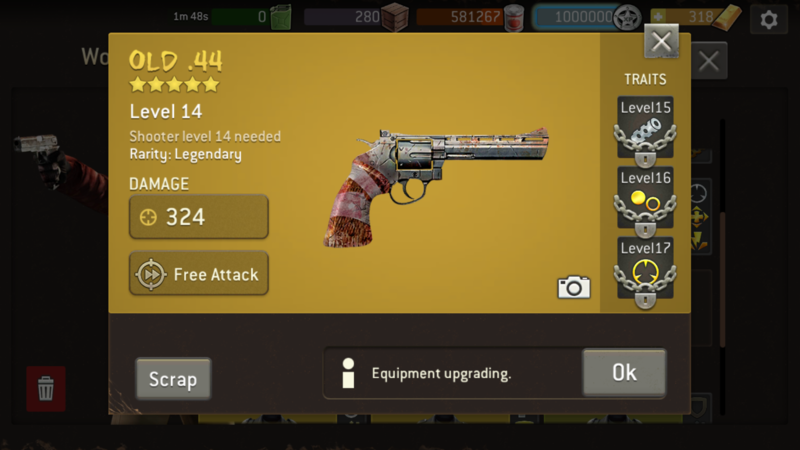 @Kaiser without extended range and luck, any pistol is useless in my opinion.